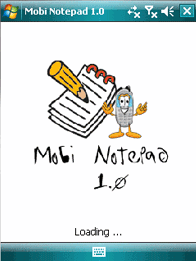 Mobi Notepad is a simple text editor for Windows Mobile. 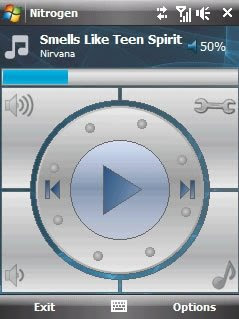 Nitrogen is a native Windows Mobile application (unmanaged code) that allows you to play MP3/OGG songs stored on your Windows Mobile Pocket PC device. It features a file browser, full skin support, "Shuffle" and "Repeat" modes, a built-in sleep mode and a command to blank screen to prevent energy waste while playing music. 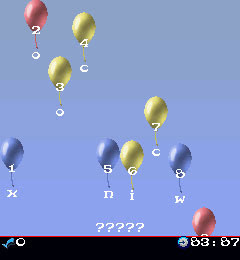 Nitrogen was build due to the lack of finger-friendly players for Pocket PC (you have to use stylus even for simple tasks). It features large buttons and you can browse among your playlist by drawing circles on the screen (tapping in the appropriate space). Sound Manager helps you to select any sound file as a ringtone or event sound, even if the file is located in the storage card, and do this without copy the file to the device memory. Sound Manager is a "must have" application. It allow you to select any sound file as a ringtone or event sound, even if the file is located in the storage card, and do this without copy the file to the device memory, saving our appreciated memory. Also offers some options as repeat the sound or play only once, display a message on screen, vibrate and, for Palm users, some different effects as increasing sound and ring once. 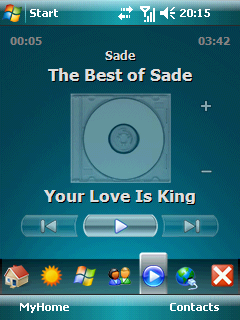 A built-in player allows preview the selected sound to ensure is the right file. 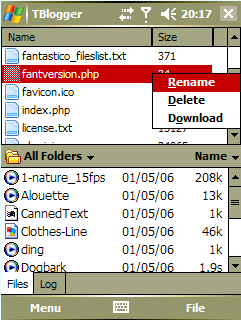 To expand the functionality of this program download and install "File Dialog Changer" which replace the default open file dialog with another expanded to allow navigate to any folder. Guitar Hero® is now available on mobile! Rock out anytime, anywhere with this rhythm-based, three button game that stays true to the original. 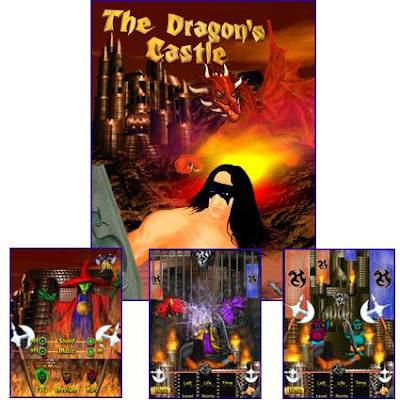 This is the one-time purchase version of the game. 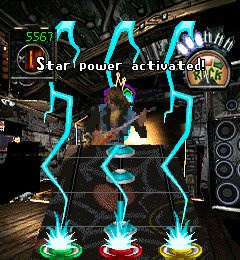 The initial game comes with 15 tracks from some of rock's greatest acts. With the one-time purchase, you will have access to an additional three tracks issued each month. For the subscription version, click here. Please note that downloading of the initial 15 songs, as well as new songs requires a data connection/internet plan for your device. Magmic Games and Bplay are not responsible for data charges incurred by carriers for downloading content related to this title. This tool that can be used to route the audio from the earpiece speaker to the backspeaker and vice versa. 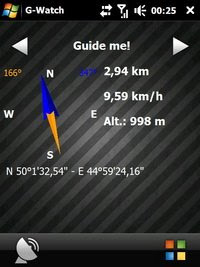 GPSbySMS is an application that reads navigation data from GPS and sends it to any user via SMS or email. 1) Read navigation data from GPS and send it to any user via SMS or email. 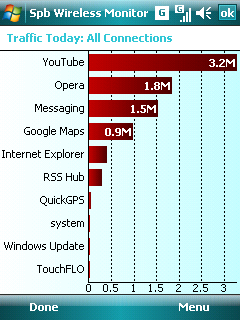 2) View current position on Maps (need Internet connection). 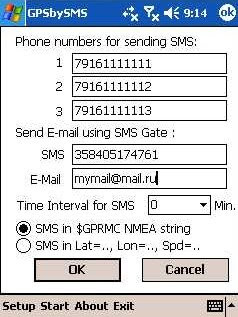 3) Save navigation data in database using data transfer via GPRS Internet. 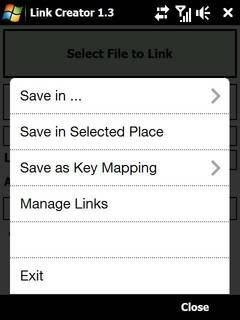 5) Save GPS data in a track File. Defuse a terrorist plot and race against time to uncover the truth in this action thriller based on the Dreamworks Pictures and Paramount Pictures movie Eagle Eye. Play as two strangers who have become the pawns of a mysterious woman they have never met, but who seems to know their every move. Realizing you are being used to further her diabolical plot, you must work together to outwit the woman before she has you killed. 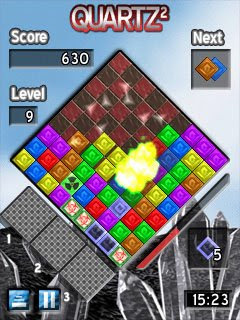 Eagle Eye will keep your heart racing and your mind engaged with this platform action-puzzle hybrid. G-Watch is a tool which combines the following features: stopwatch, countdown timer and geocaching. You can use it as a simple timer in the kitchen or measure anything with as many stopwatches or countdown timers you want, using the most accurate timing techniques available on Windows Mobile. 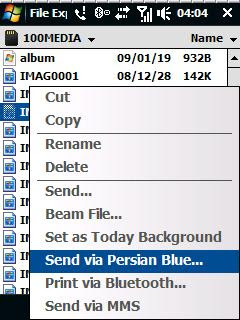 As you know, there is no built-in Bluetooth Manager which can show any percentage or remaining time of Bluetooth transferring process...Persian Blue solves this problem. Grey matter matters! Become the sharpest knife in the drawer with a gauntlet of challenges. Memory, visual, math, and word games work your brain in four different ways. Leading you along this evolutionary journey is Cortex, the game-loving alien with synapses of silicon. 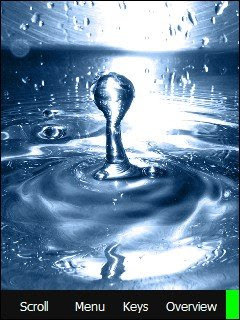 You start off as a lowly amoeba, working your way through challenges to gain an evolutionary advantage. Evolve and excel at the minigames to unlock harder challenges. Only a Brain Up master can evolve beyond human, into one of Cortex's brainy brethren: a Synapperon. 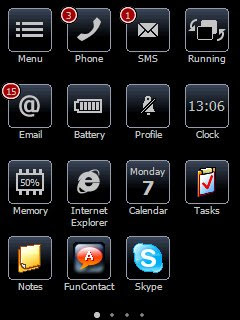 Touch Shell is an application offering modern and flexible user interface for Windows Mobile PDAs. 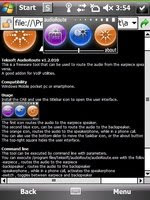 The ultimate must-have for all Windows Mobile Pocket PC Phone users, Touch Shell makes your device more usable than ever and adds rich graphics and fabulous 3D effects to the interface. The application features an additional Today screen, which puts all the most frequently used functions at your fingertips. 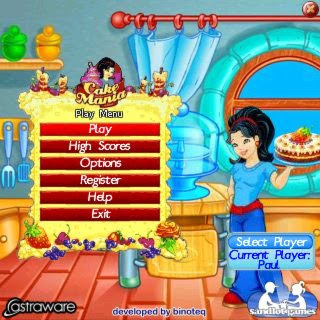 Based on the best-selling PC game by leading casual game publisher and developer, Sandlot Games, Cake Mania is a fun, fast-paced culinary challenge. Help Jill to bake, frost, and decorate ever more elaborate cakes whilst impatient customers demand to be served. Deliver the right cake to the right customer on time to meet the daily Baker Goal. If you succeed you can stop the big guys at Megamart taking over and Jill's grandparents get their bakery back! Cake Mania features almost 50 levels of cake-baking fun, with cute cartoon-style graphics and zingy sound effects. YouTube search/player application. Bit like the latest CorePlayer. It allows you to search for videos in a nice friendly Windows Mobile app and then plays the full FLV video (not miniscule MPEG4 versions) with its own player. The video player overlay is hacked out of TCPMP and the FLV part is based on FFMPEG. The app is written in a mixture of .net and C so you need the .net runtime, v2 or v3.5. iDialer is a finger-friendly dial pad for Windows Mobile Pocket PC phones. It is simple, easy to use, speedy, and well integrated with iContact! It works with both VGA and QVGA displays, in both portrait and landscape mode! The included "default" skin has an iPhone feel with Diamond-like menus. It can be used to replace your built-in dialpad or as an easy front end for Google Voice, GrandCentral, Phone.com (in beta), JaJah, or with calling cards. Skinning is easy... just set skin=iphone or skin=default or skin=yourskin in the registry, or use the online configuration utility. 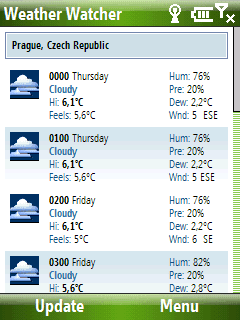 Currently, only the titlebar and menus can be skinned. simple backlight controlling application, developed by MyLostBlog ! Super fast remote control of your computer using your Windows Mobile phone. Full features keyboard, touch panning ... One of the fastest software to control your computer using your Windows mobile phone. Really easy to use and powerful. 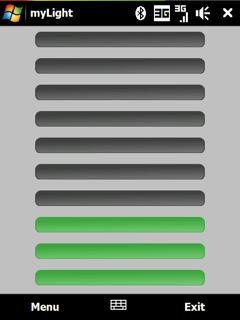 There are Click Mode, Overview Mode and Scroll Mode for easy navigation through the screen. Much of the magic has been lost, and the land has been civilized by a race of men from Telmar. 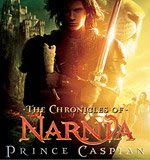 Now it is up to Prince Caspian, the rightful heir to the Narnian throne, along with the children and a host of other fantastical creatures, to reclaim the kingdom of Narnia. 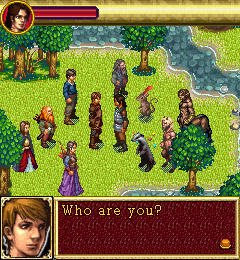 Dazzling graphics, special effects, and your favorite characters complete this richly detailed Narnia experience. Travelling blogger is a mobile blogging client for Windows Mobile devices. Travelling Blogger supports all blogs which implement the MetaWeblog or WordPress APIs. This of course includes WordPress and a number of other blogs. If you’re not sure check with your blog provider. Travelling Blogger will autodetect the most appropriate blog API to use when you set up your blog. 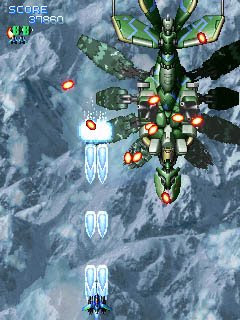 Rediscover the legendary space shoot'em-up in this new version with stunning graphics! Note: Some antivirus may kill the keygen. so you should disable antivirus or run the keygen on the "Virsual PC"
Line Rider Mobile - grab the pencil tool and construct tracks filled with jumps, ramps or hills, and then send your virtual sledder down the route. Play the addictive Puzzles mode to test your mastery of the lines, share your creations with other fans and publish them on the Line Rider website. No Limit Texas Hold'em is a game of skill, cunning and deception. It's not enough to have the right cards; you have to know when to hold'em or fold'em and when to go all-in. With Texas Hold'em King 2, you can experience the thrill of No Limit Hold'em on your mobile device wherever you are. 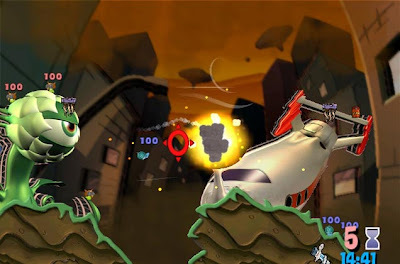 Play the single player version or enter online multiplayer mode to go up against live players from all over the world. Online you can build your stacks and gain respect in the public tables. The buddy list finds your friends at the tables. Talk smack with the in-game chat, or even challenge players to private showdowns with the private table option. 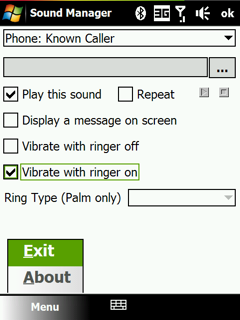 MissedCallReminder will make your device to vibrate and or play a chosen sound at a set interval, to notify the user that there are missed calls or unread SMS messages. It will wake up the device if necessary to give the notification. WirelessTime is a small tool to automaticaly switch on an off your GSM and Bluetooth connection, depending on time profiles. Very handy, and you'll see with happyness your PDAphone runs alone ! Only missing the Wifi (network) management to transform this tools in a perfect one. 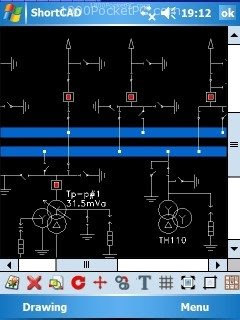 With ShortCAD you can create and edit 2D vector-graphic drawings and templates just as you do in well known CAD applications. ShortCAD drawings are usually saved as .shortCAD files, but you can also save them in .dxf format so you can export your drawings from PDA to other PC vector-graphic editors. 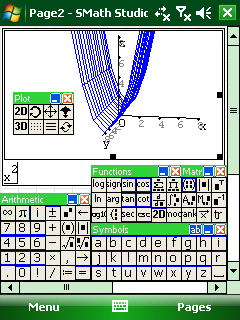 While your Pocket PC is small and slow, all of the “huge CAD” features of ShortCAD have been reworked to make them accessible and usable without mouse and keyboard. 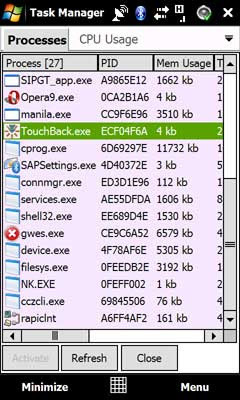 TouchBack is an application for emulating haptic feedback for Windows Mobile devices. It has been designed simply to give a configurable feedback response to your fingers within the SIP window and within the DialPad window. Settings persist between device resets and you can enable TouchBack to start-up automatically upon device bootup. · Haptic feedback (!) within SIP, DialPad or Both. · Support for multiple dialers (stock DialPad and iDialer so far). · Activate feedback On Press, After Press or Both. · Configurable ignore press period (prevent multiple vibrations). · Start-up automatically on reset. · Settings persist across resets. Spiders includes Spider-like games from Solitaires Unlimited collection. Each Spider fan will find his favorite game among 20 different solitaires from this collection. For all games you will find a detailed how-to-play instructions, next move suggestion, unlimited undo, timed game and many other features that will make your gameplay more interesting and handy. 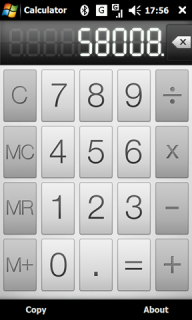 HTC’s new calculator that comes along with Touch Diamond 2. I am guessing it should work on all HTC VGA devices. It supports landscape view and the interface looks consitent with the rest of TouchFLo 3D. HTC Album is a fresh software for browsing images, with slide show options. Zoom, edit and resize pictures with your finger taps. Change the slide show options to move the next image with a certain effect and with preset delay. You can also move to the next picture by just sliding your finger horizontally on the screen. It will always look to your default Camera's Save location for images to display, whether it's set to phone or storage card. Cannot change directories from the app. HTC Album works great on TyTN II, swiper finger goodness all around. Gesture driven to rotate image, zoom in/out, and advance to nextimage. * Multiplayer versus mode against other players and/or the computer! 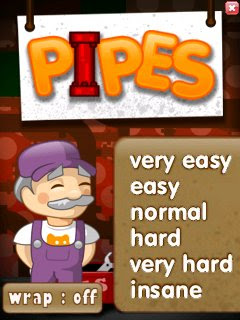 - 5 difficulty settings from very easy to very hard. 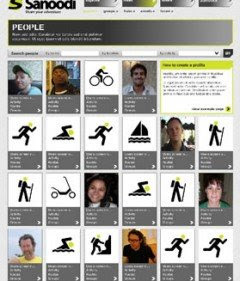 Sanoodi is the easy way to map, review and share your outdoor activities. You can use Sanoodi to explore outdoor routes and activities, to meet like-minded people and to share what you love doing. Sanoodi is available online and on GPS enabled mobile phones and PDAs. The world is covered by Sanoodi. Routes stretching millions of kilometres across the globe have been uploaded by the Sanoodi community. You can use Sanoodi’s maps to find routes that are local to you, the most recent routes anywhere, including ones being created live. Sanoodi covers all kinds of activity at all levels of difficulty. So whether you enjoy casual walks, distance running, extreme kayaking or all of these activities, you’ll find routes you can explore and people that like those things too. Sanoodi includes many thousands of people who enjoy outdoor activities. You can meet them by joining groups or forming your own, taking part in events, creating hubs or simply by talking to them. Groups are free to create and can be based on activities, a location, the mobile or PDA you use, as well as things like, equipment you love or a favorite website. Hubs are also free to set up, they can be individuals, clubs or businesses and they will be into, or connected to, outdoor activities. Hubs are very much part of the Sanoodi community. You will see them on maps if they are located near a route and alongside relevant information. Sanoodi is home to exciting adventures and inspiring adventurers. Join in by sharing your routes, images and thoughts. You can create new routes, edit old ones, add images and comments to routes and build up your Sanoodi profile. Sanoodi gives you the tools to control who you share with and to protect your privacy. You can let everyone see your routes and where you live or restrict access to your activities. Your home address always remains private. 1Liner is an application that will serve the user one liners, yo mama jokes, jokes by famous people, fun facts and Chuck Norris jokes. · Update joke files by hitting a button in the menu! · Copy joke to clipboard, so you easily can send it as SMS/MMS/IM! · Supports WQVGA, WVGA, VGA and QVGA! · Stores when you last updated jokes! Play Video Poker anywhere, without the risk of losing money. 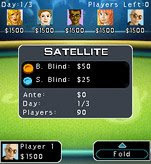 With AFK Video Poker you can play 16 fun video poker variations on your Windows Mobile device. You have to crop as much hidden area as possible to gain victory and to go to the next room of the castle. At the end you find and release the Red Dragon. 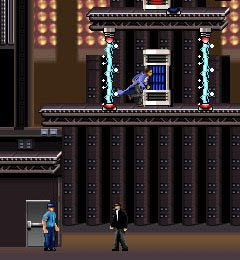 During the game you will face terrifying creatures that will not let you in peace. All creatures have their specific behavior and you should predict their moves in order to survive. What is more, there are obstacles all over the area. You can also find many gifts in the rooms, but some of them can cause you troubles. 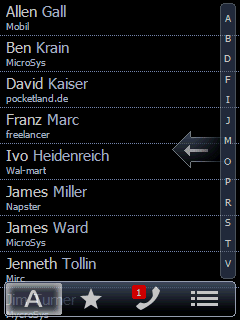 FunContact is a Windows Mobile contact manager that brings iPhone experience to your Pocket PC. Now you can scroll a contact list just with a flick of a finger. 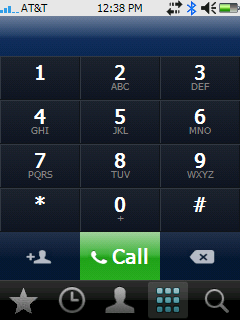 The animated windows switching and sparkling interface with bulging tap-ready buttons make contact managing a real fun! The touch & feel principle of FunContact makes it a truly indispensable Windows Mobile contact manager! Sudoku Addict, by TealPoint Software, brings to your handheld the addictive worldwide puzzle craze that has displaced crossword puzzles in many newspapers in Great Britain and Japan. Also sometimes known by the name 'Number Place', Sudoku (or 'Su Doku') gets its name from the Japanese word for 'single number'. Play by entering single digit numbers so that each row, column, and 3x3 box on the board contains just one of each number. Sudoku Addict comes complete with 3000 different puzzles, three challenging levels of difficulty, intuitive controls, a manual puzzle editor, a pencil annotation mode, and puzzle-solver capable of completing any valid Sudoku. 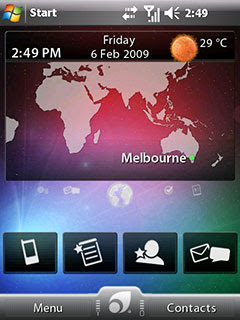 Pointui Home 2 is the successor of the hold PointUI 1.5. The new version is a inovative home screen applet with custom options and very nice visual effects ! Fully finger touch optimized, no need of stylus.